Question: My main questions are regarding authoring in HD DVD and Blu-ray: What are the new capabilities and where can I find examples? I’ve heard that Adobe is looking to support Blu-ray first—is this true? Finally, what can I study in order to do advanced authoring? • HD DVD: This format was developed by Toshiba and NEC and is supported by the DVD Forum. The DVD Forum defined the DVD specification we have today. Even though the DVD Forum has an extensive membership, the HD DVD specification is mainly being driven by Toshiba and NEC. Supporters of the HD DVD format include HP, Intel, Microsoft, Paramount, Toshiba, and Universal. • Blu-ray Disc: This format was developed by Sony and the Blu-ray Disc Association (BDA). Members of the BDA include Apple Computer, LG, Panasonic, Philips, Pioneer, Hitachi, Mitsubishi, Samsung, Sharp, Sony, and Thomson. With either of the new high definition formats for DVD, content creators and DVD authors are free from the bonds of using just one compression method, like there is with standard definition DVDs (MPEG-2). Both competing formats offer the choice of three video codecs: MPEG-2, Microsoft’s VC-1, and H.264/MPEG-4 AVC. Let’s take a closer look at each of these new formats and try to answer some of your questions while also pointing out some key resources. There are two kinds of single-sided HD DVD discs for content playback: the 15-GB single-layer disc, and the dual-layer disc with double the capacity at a full 30 GB. Using the latest compression technologies, the 30-GB disc can store up to 8 hours (playback time depends on the data transfer rate) of 1080-line high definition images. Today’s standard definition DVD has a capacity of 8.5 GB and can contain roughly 4 hours of 525-line standard definition images. As for rewriteable formats, the DVD Forum has defined the standard for a single-sided, single-layer HD DVD-Rewritable disc with 20-GB capacity, which can accommodate about 5.5 hours of HD content. Why can you put 20 GB on a single-layer rewritable HD DVD disc, but only put 15 GB on a regular single-layer HD DVD disc? Your guess is as good as mine. To learn more about authoring in the HD DVD format, check out the HD DVD Interactivity Authoring Forum on the Microsoft website located at http://social.msdn.microsoft.com/forums/en-US/hddvd/threads/. 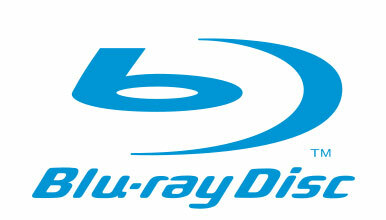 The Blu-ray format can store 25 GB on a single-layer disc, or 50 GB on a dual-layer, single-sided disc. This is about 5–10 times the capacity of standard definition DVDs. What makes Blu-ray so interesting to DVD creators is its two authoring modes. HDMV mode offers all of the features of regular DVD-Video and streamlines the production of both Blu-ray Disc as well as DVD-Video titles since the production process incorporates many identical phases. It offers improvements in navigational and menu features, graphics and animation, subtitling support, and new features like browsable slide shows. In regular DVD-Video, playback is interrupted each time a new menu screen is called. However, authoring in HDMV mode allows for multipage menus so that users can browse through the menu pages or select different menu paths while the audio and video remain playing in the background. BD-J mode is based on the Java runtime environment and allows for extensive interactive applications including Internet connectivity. It’s based on Java 2 Micro Edition, so experienced programmers will quickly be familiar with the programming environment for BD-J. Every Blu-ray Disc player will be equipped with a Java interpreter, so that it’s capable of running discs authored in BD-J mode. This mode supports basic Internet protocols such as TCP/IP and HTTP, so it’s possible to connect to the disc publishers website to unlock content on the disc (after certain conditions, like payment, are met), or dynamically display information (e.g., local theater playing schedules for a movie) onscreen. It can even stream new audio/visual content. For a complete list of all the new features available in both HDMV and BD-J modes, visit www.blu-raydisc.com/Section-13470/Section-13627/Index.html. As of this writing, Adobe has not announced its support for either the HD DVD or Blu-ray format. We can probably expect that announcement around the time that they announce their next release of the Adobe Production Studio. To get more advanced training, you’ll have to spend some money because it’s not available online. You’ll need to get the spec books for each format at a cost of $5,000+ each. You could also spend $100,000 to join the Sonic HDAA (High Definition Authoring Alliance). Here’s where the real players hang out to hone their craft! A cheaper alternative is to buy a player and some discs and watch them repeatedly. With players running between $500–1,500 and discs running $40–60 each, you can drop a few thousand dollars relatively quickly. I expect that in 2007, we’ll see computer makers adding cheaper drives to their systems and companies like Adobe, Apple, and Ulead adding more authoring support to their existing programs. As with all new technology, the longer you can wait, the cheaper it will be…just don’t miss the boat and wait too long! Many people have been asking the following question: “Will high definition DVDs make my collection of regular DVDs useless?” While high definition discs won’t play on an existing DVD player, a high definition player is capable of playing your standard definition DVDs, so you won’t have to replace your entire collection. Also, if you’re not ready to invest in a high definition player, high definition DVDs can play on computer DVD drives with the right software upgrades. Good website, exactly where did you arrive up considering the info in this element? I’m pleased I identified it regardless that, ill be checking back soon to see what other content articles you might have.